Well, hello! 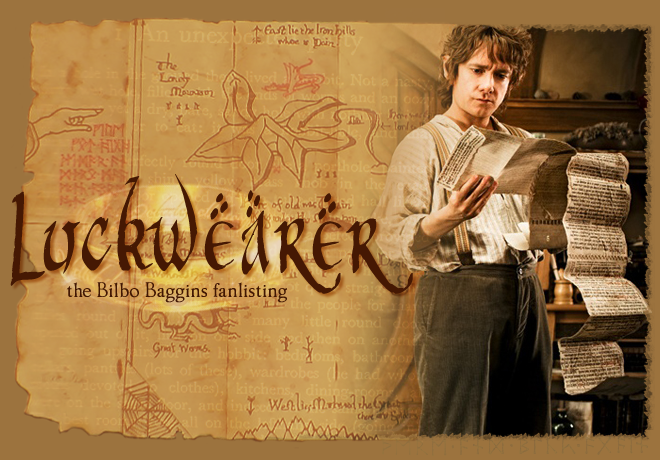 Welcome to Luckwearer, the sanctioned (oh gag me with an Elvish pitchfork) fanlisting for the hobbit who started it all, Mister Bilbo Baggins! As I type this, my computer is missing two keys and the scroll button on my trackpoint is also severely on the outs, so unfortunately all you're seeing right now is the bare bones of what will, I hope, become a large dedication to the Ring-finder. I apologise for the mess. Updates are below, and navigation is above! Enjoy yourself. Update Details: no new members, because duh. Contact: please email me directly.